"I started with Inflatable Boat Cleaner, then used Speed Clean and the Marine Power Mitt and finally two coats of Poly Guard. Wow!" 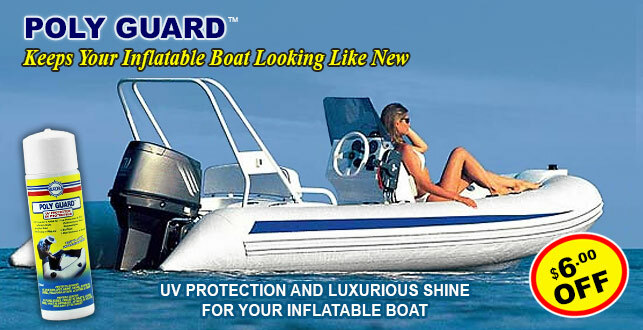 Ultimate Protection For RIBs & Inflatable Boats. Fast and Easy to Use: Wipe On & Let Dry. 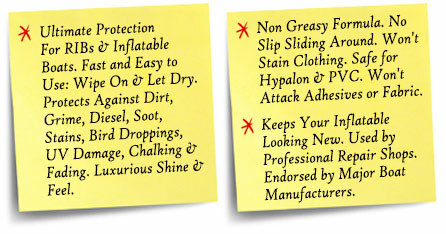 Protects Against Dirt, Grime, Diesel, Soot, Stains, Bird Droppings, UV Damage, Chalking & Fading. Luxurious Shine & Feel. Non Greasy Formula. No Slip Sliding Around. Won't Stain Clothing. Safe for Hypalon & PVC. Won't Attack Adhesives or Fabric. Keeps Your Inflatable Looking New. Used by Professional Repair Shops. Endorsed by Major Boat Manufacturers. Note: Coupon will only be applied toward purchase of one bottle of Aurora Poly Guard. May not be applied towards kits and gallons. Only one coupon may be redeemed per order. At this time, on-line orders can only be shipped to the 48 contiguous United States & Canada. Prevents Osmosis Blisters and Protects Against the Attachment of Algae, Barnacles & Zebra Mussels. 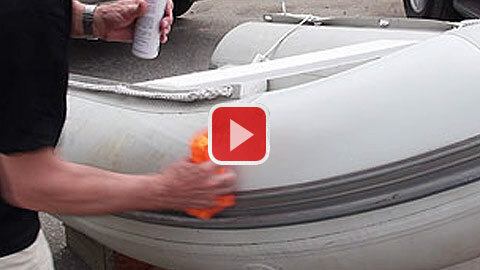 Inflatable Boat Cleaner - Restorer. Safe for Hypalon, PVC, Fiberglass, Metal. Wipe Away Stains, Scuffs, Grime, Diesel, Chalking & Oxidation. 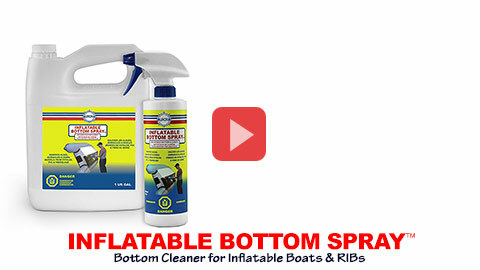 Boat Bottom Cleaner for Inflatable Boats. 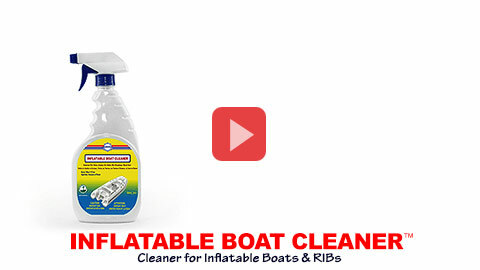 Removes Algae, Barnacles & Zebra Mussels from tubes & RIB's. Easy to Use: Spray, Brush & Rinse. 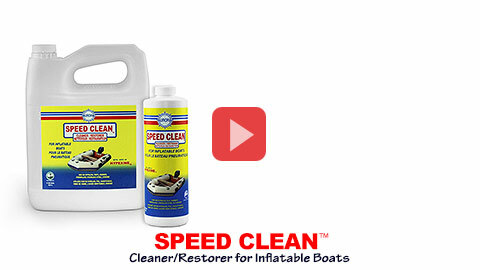 Boat Cleaner for Inflatable Boats. Works Quickly to clean dirt, grime and stains. 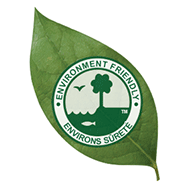 Use on all surfaces: Hypalon, Orca, PVC, Polyurethane, Rubber, Fiberglass, Stainless Steel, Aluminum and Chrome.